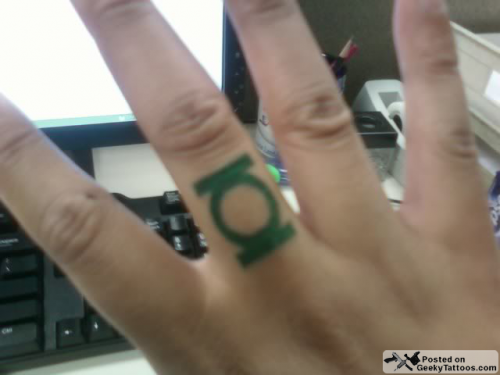 Cedric, aka Prayer Police, is the one with the Green Lantern logo ring you see above. He says it was the most logical place he could think of getting it done. You have to agree with that. Tattoo done by Adam at Tatu Tattoo in Chicago. 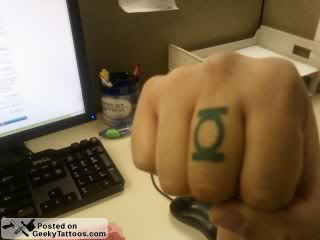 Tagged with DC Comics, finger, Green Lantern, Tatu Tattoo.